For me, the fact that Ant-Man was so science based (albeit science-fiction) is what makes it such a great tool to use for learning. As a teacher, it’s movies like this that have me questioning why educators can’t have access to first-run movies for classroom use. After all, movies that students are watching anyway have deep veins of information just waiting to be mined, and classrooms are perfect places to leverage the concept of edutainment. But it seems that the more edgy pop culture becomes, the more education pushes it away. Edutainment is the marriage of both entertainment and education. It’s not a concept in its infancy; it’s been around for a while. But it seems that the more edgy pop culture becomes, the more education pushes it away. That’s why there has to be such a hard push for the use of games in the classroom. It’s not that teachers and society aren’t comfortable with Bingo boards as study tools, it’s that they don’t quite know what to do with something as creatively deep as World of Warcraft. 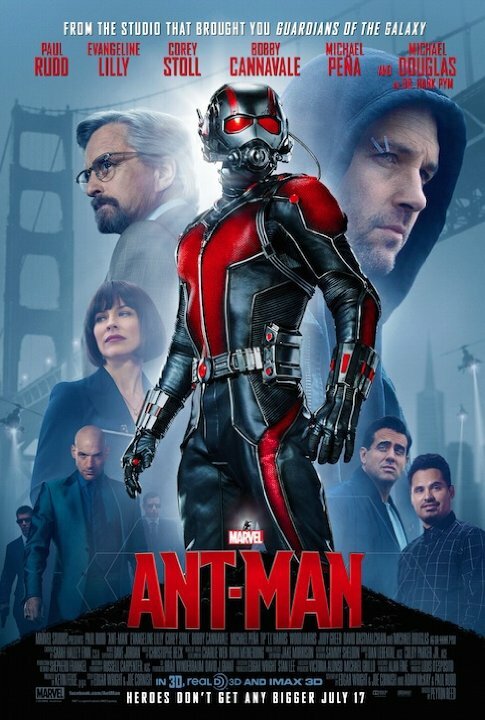 How can Ant-Man Be used as a Cool Classroom Tool? Anyway, back to Ant-Man. As I was stealing some of my son’s Sour Patch Kids, I couldn’t help but be impressed with all the ways this movie could enhance a person’s science or math curriculum. 1. There’s a scene that works much like the old 1977 movie, The Power of 10. (I don’t think this is much of a spoiler here; he is Ant-Man, after all.) In it, the main character goes “sub-atomic” and shrinks down beyond the molecular level. He speeds past all various assorted particles and atoms eventually landing at a mere speculative size. Great conversation starter and visualization of cellular biology. 2. And speaking of The Power of 10, you should definitely stay to watch the end credits. Nope, it’s not because of the inevitable marvel Easter eggs and scene teasers that help tie the franchises together, it’s because the animation that surrounds the cast and crew names mathematically depict different lenses of focus, much like camera’s numbers change with each click of the zoom. 3. It also brings in some serious Entomology, the study of insects. There are great montages where the main character learns about different species of ants. There are also moments that can create conversations about how different bugs react to water or altitude. Sure, some of it may be far fetched, but students won’t know what’s science and what’s science fiction without you helping them question the facts. I enjoyed this movie on many levels, but as I teacher, I walked away with thoughts of how I could leverage this film into my own classroom. In the very least, come fall, I look forward to talking about this summer blockbuster with my students. By mid-year or so, perhaps it will even be available on Netflix or iTunes so that I can show an excerpt or two as a journal-starter or for dual-entry note taking. Perhaps it can even be incorporated into a flipped classroom assignment. Dunno. I’ll give it some more thought. In the meantime, since I left for the summer having already created a Google Group of my students for the 2015-2016 school year, perhaps I’ll email them with a greetings and a suggestion to see the film through the lens of a mathematician or entomologist. I’ll also suggest that they save some Sour Patch Kids for me. ????????? - ????????? ???????????? ??????????????N???????? ??????????????????????????N??????? ??????? ???????,????????????? ?????? ????? ?????????????? ??? ?????? ?